Whether you’re looking for a qualified aesthetician, top-of-the-line barbecue restaurant or unique clothing boutique, Oklahoma has an overwhelming number of options. Each year, we ask our readers to weigh in on The Best of the Best – the places, people and companies you prefer. Over the past few months, we collected thousands of votes to find your best options, no matter what you’re seeking. 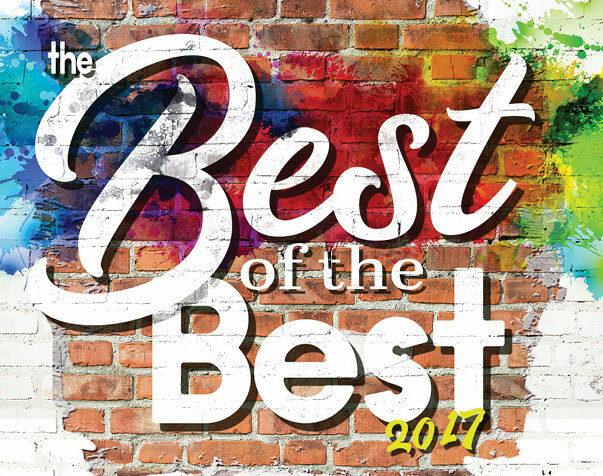 The readers have spoken, and we are happy to honor the following as The Best of the Best in what they do. Sit back, read and relax – we did the heavy lifting for you. Local artists are the cornerstone of culture in our state. P.S. Gordon, a New American Realism painter, has found national success with his art. Utilizing different forms of media on her canvas, Cynthia Brown is another beloved Tulsa art icon. Wendeline Matson combines modern culture and childhood nostalgia for a unique artistic style. OKC artists like Stephanie Brudzinski convey words of hope in her art, with natural, spiritual and peaceful themes. Ryan Cunningham embodies the spirit of the modern West, and Desmond Mason traded in his NBA jersey for the canvas with his original multimedia artworks. Philanthropy events combine charity and revelry and showcase the giving spirit of Oklahomans. Tulsans voted the Philbrook Wine Experience, which benefits Philbrook Museum, to the top; this biennial fundraising weekend has become one of the top 10 wine events in the country. Many enjoy the Red Ribbon Gala, benefiting Tulsa CARES; the event is all about rejecting the stigma that surrounds an HIV/AIDS diagnosis and instead focusing on prevention and education. Carnivale, benefiting Mental Health Association Oklahoma, includes fine dining and dancing to help raise money for MHAO’s many programs. The arts are ever-important in Oklahoma, and the Renaissance Ball, benefiting the Oklahoma City Museum of Art, helps to raise funds for new programs and exhibitions. Another art event is the 12×12 Art Fundraiser, benefiting the Oklahoma Visual Arts Coalition, which helps artists realize their potential through education, exposure and funding. Lastly, Red Tie Night, benefiting Oklahoma AIDS Care Fund, works to raise awareness of and education about HIV/AIDS. 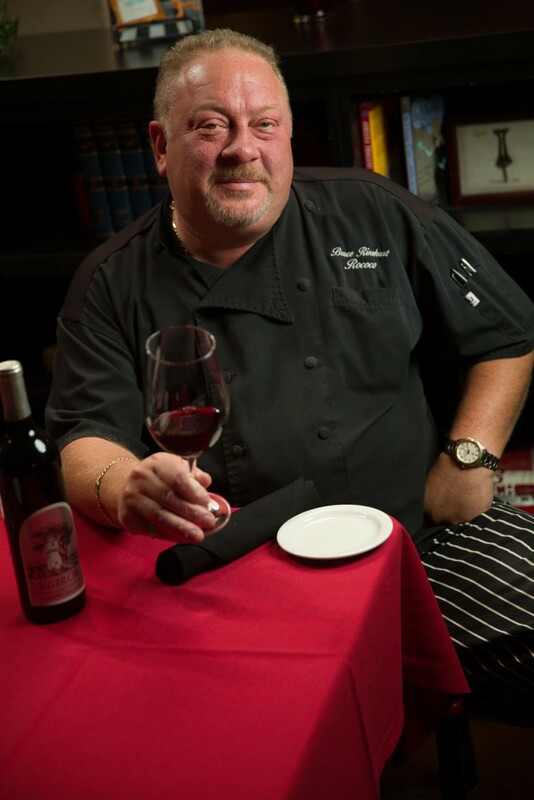 The chef is the captain of the ship at any restaurant, and Michael Minden of Michael V’s in south Tulsa receives high marks for his culinary mastery. Justin Thompson, who helms the ship at Juniper, Prhyme, Tavolo and other area restaurants with Justin Thompson Restaurants, has established himself as a powerhouse in the Tulsa restaurant scene. Trevor Tack of the McNellie’s Group has taken on and succeeded at leading one of Oklahoma’s most beloved restaurant groups. Patrick Williams utilizes local and fresh ingredients at Vast. Bruce Rinehart of Rococo serves up East Coast cuisine with a smile, and Brittany Sanger leads the charge at The Jones Assembly. A business is only as great as the CEO who leads it. Jake Henry Jr. of Saint Francis Health System has championed his employees for 15 years and continues the legacy of excellence at Saint Francis. 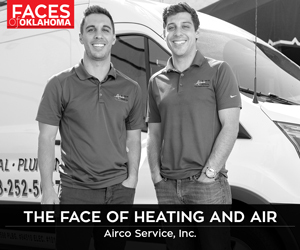 There are only superlatives to describe the leadership style of Chet Cadieux of QuikTrip, and Phil Albert of Pelco Structural LLC combines reliability and strong leadership to inspire employees. Paula Marshall of The Bama Companies leads by example and curates a culture of positivity. In OKC, Bill Cameron of American Fidelity Assurance and First Fidelity Bank strives to improve and enhance client and employee relationships every day. Robert A. Funk of Express Employment Professionals creates a stable and encouraging work environment for his employees, and Clay Bennett of Dorchester Capital Corporation and the Professional Basketball Club LLC, the ownership ground of the Thunder, has contributed greatly to the OKC community over the years. Certain companies in Oklahoma make coming into work the best part of the day. Cherokee Nation Businesses invest in their citizens and give back to the community in numerous ways, and the Saint Francis Health System keeps its employees happy and well-prepared. The Williams Companies believes every voice counts, no matter your rank. Manhattan Construction Co. encourages collaboration and innovation, and ONEOK manages to make every employee feel appreciated in a massive work environment. In OKC, the Chickasaw Nation puts faith and responsibility into the hands of its employees and citizens. There are also no complaints about the well-oiled companies of American Fidelity Assurance Co. and MidFirst Bank. Local bands showcase the immense artistic talent in the state. The Fabulous Mid Life Crisis Band has become one of the most popular bands in Oklahoma since 1995, jamming out with classic rock and easy listening. Lovers of “MMMBop” rejoice; Hanson is voted one of Tulsa’s favorite bands. The Paul Benjaman Band combines rock, jazz, funk, bebop and swing for an electric listening experience. OKC proudly boasts the legendary band The Flaming Lips as a top local favorite, along with Kyle Dillingham and Horseshoe Road, who produces an eclectic sound that the band describes as “heartland acoustic.” Finally, The Groove Merchants have won over the OKC voters with their mix of subtle jazz and top 40 hits. Local landmarks become symbols of a town’s culture and vitality. The Tulsa Golden Driller stands tall in the heart of the city and has become an iconic subject of clothing and art for local vendors. The Center of the Universe attracts residents to relax and enjoy a quirky local landmark, and the Blue Whale of Catoosa has a rich history and passionate following. In the heart of OKC is the Devon Energy Center, standing tall over the city and housing numerous businesses. The Oklahoma City National Memorial and Museum honors those lost during the 1995 bombings. The Bricktown District is the perfect destination for food, shopping and relaxation. It’s often a good choice to disconnect from the outside world and enjoy an afternoon at the park. Tulsa’s Woodward Park boasts 45 acres plus a botanical garden and arboretum. Guthrie Green’s sprawling lawn and pavilion is a popular downtown spot in a sea of concrete, and Riverside Park offers lovely views of the river plus trails for exercise. 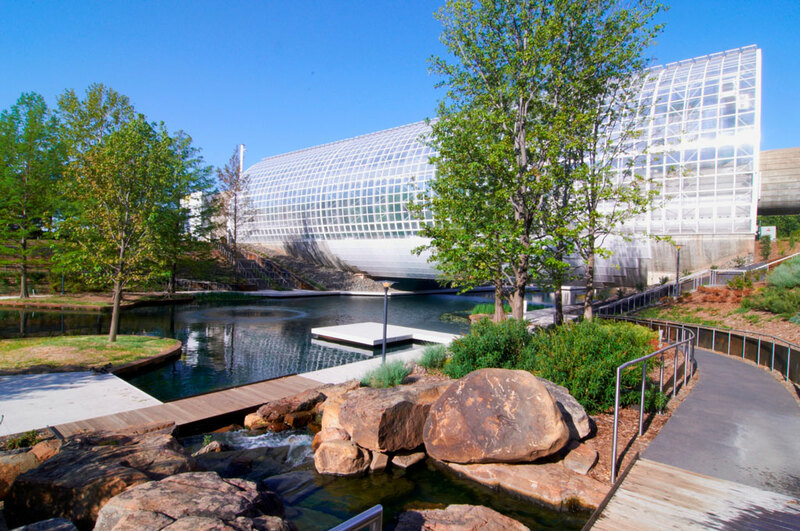 You could get lost all day in Myriad Botanical Gardens, a 17-acre green addition to downtown OKC. Lake Hefner Park is a popular spot to lounge and bird watch, and the Will Rogers Gardens are open year round and offers 30 acres for exploration. Whether on the commute to or from work, the right radio personality can turn your day around. Wake up with Lindsey Bauer on MIX 96.5 KRAV, whose bubbly personality and hilarious commentary will start your day off right, or settle in with Dan Potter of NEWS 102.3 KRMG, who keeps you updated on the latest local news. And for all things sports, turn to The Morning Animals at 97.1 KYAL. OKC listeners tune in to Jeff Roberts on Magic 104.1 KMGL for his quirky personality, great tunes and sports talk. Chris Plank at 99.3 KREF also has the latest sports commentary and never fails to keep it real, while others listen in to Jack and Ron of 96.9 KQOB, a popular duo in the radio business for over 20 years. Bobby Bones of 101.9 KTST Twister serves up hilarious antics and killer tunes with his group of radio personality pals. You need a familiar, trustworthy face delivering your news every day. Karen Larsen at KJRH, Channel 2 is an award-winning journalist and Tulsa’s top pick for a local TV personality. Chera Kimiko, also at KJRH, Channel 2, has become a familiar and beloved personality in Tulsa journalism, and voters trust her for accurate and entertaining content. Craig Day at KOTV, Channel 6 delivers you accurate and up-to-date news at 5 p.m. and 9 p.m. daily. Paul Folger has been with KOCO, Channel 5 for nearly 10 years and keeps residents in the know during the evening news. Linda Cavanaugh at KFOR, Channel 4 was the first female co-anchor of the evening newscasts at her station and has won numerous awards for her work. Emily Sutton, another KFOR, Channel 4 employee, is a prized member of the station’s 4Warn Storm Team and keeps residents aware of time-sensitive weather information. In a state as weather-fickle as Oklahoma, the local meteorologists have a challenging job. Tulsa’s favorite is Travis Meyer at KOTV, Channel 6, who’s been in the game for over 30 years and established himself as a reliable source. Brett Anthony at KJRH, Channel 2 is a face to trust when severe weather strikes, as is Mike Collier, who also works at KJRH, Channel 2. OKC residents look to David Payne at KWTV, Channel 9, who’s been advising the masses for over a decade. Jonathan Conder at KOCO, Channel 5 has the readers’ trust and votes in OKC, as well, and others rely upon the reports of Mike Morgan at KFOR, Channel 4. Performing arts organizations bring art and culture into a city, entertaining all who attend. 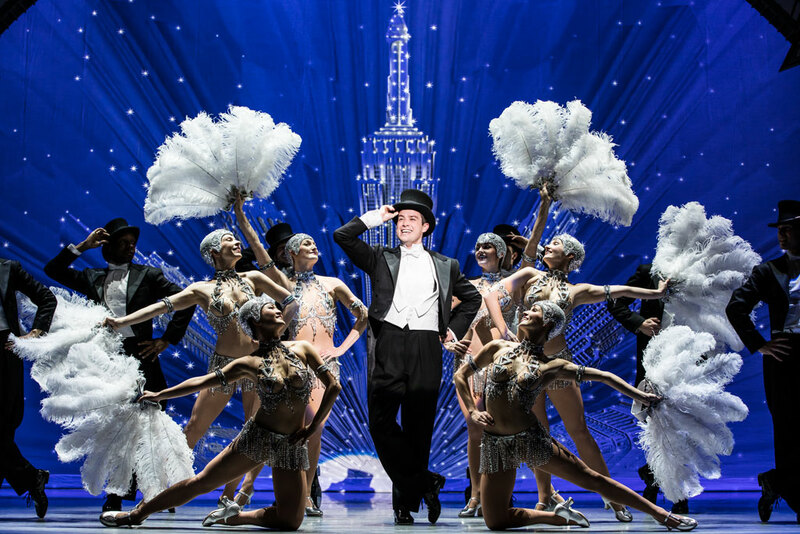 Celebrity Attractions is Tulsa’s premier presenter and producer of national touring shows, bringing in Broadway hits like The Little Mermaid and, in 2018, Hamilton. Tulsa Ballet is one of the nation’s most revered ballet companies, with artists flocking from across the world to join the elite ranks. The Tulsa Performing Arts Center is the heart of Tulsa’s entertainment, and the Tulsa Opera is one of the nation’s oldest and most respected opera companies. OKC residents adore the Oklahoma City Philharmonic for their skilled performances from world-class professionals. The Oklahoma City Ballet never fails to impress with their impeccable choreography, costumes and technique. 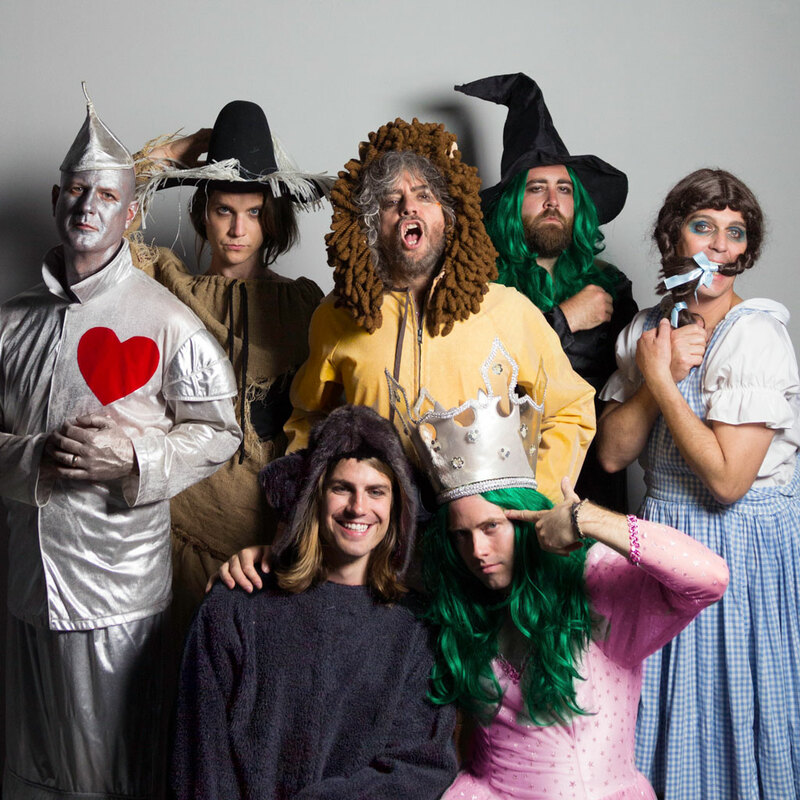 Lyric Theatre of Oklahoma is constantly producing and creating exciting shows for OKC residents. Oklahoma is teeming with small town gems waiting to be explored. Jenks offers up quaint shopping options, plus the RiverWalk Crossing and the Oklahoma Aquarium. Voters choose Owasso for its historical museum and plethora of entertainment and dining options, and Bixby has seen a substantial population growth in recent years with new entertainment options popping up constantly. OKC voters love to take trips to Yukon with its outdoor activities, especially the Chisholm Trail Crawfish Festival every June. Guthrie boasts fascinating architecture, and its Historic District has been designated as a National Historic Landmark. The little-known Byng is a small but mighty powerhouse and a perfect small city to explore.